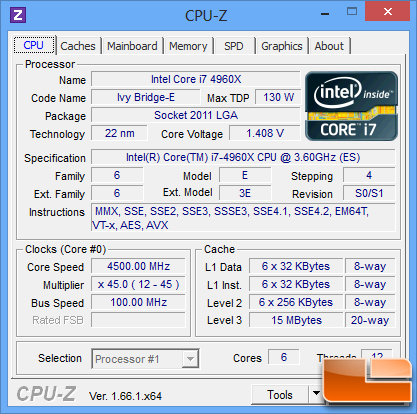 The Intel Core i7-4960X processor starts out life with a 3.6GHz base clock and can boost up to 4.0GHz. 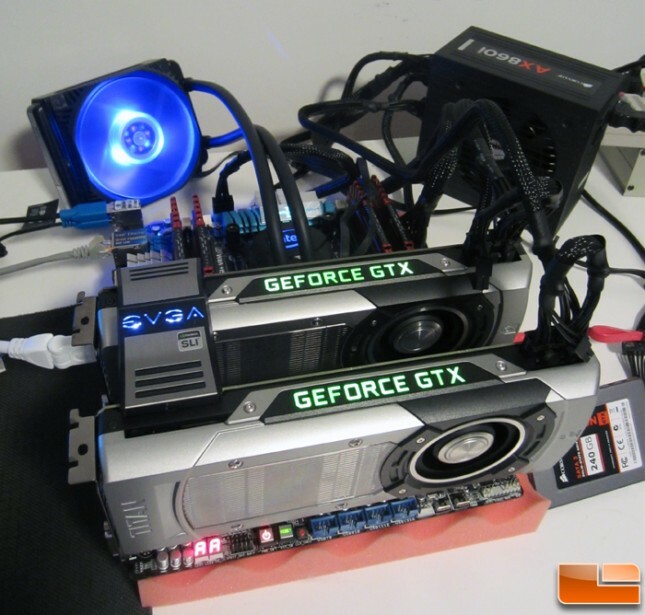 We heard that reaching 4.5-4.7GHz should be easy for most platforms with high-end air coolers or water cooling. For this review we used the Intel RTS2011LC CPU Water Cooler and wanted to see how high we could get the 130W TDP processor. We were able to quickly bump up the multiplier in the ASUS P9X79 Deluxe motherboard BIOS and that got us up and running at 4.5GHz with full stability without having to tinker with any other settings. Notice that the voltage automatically increased from ~1.27V to 1.41V. We were able to get the system up and running at 4600MHz, but it wasn’t stable in all benchmarks at 4.6GHz. 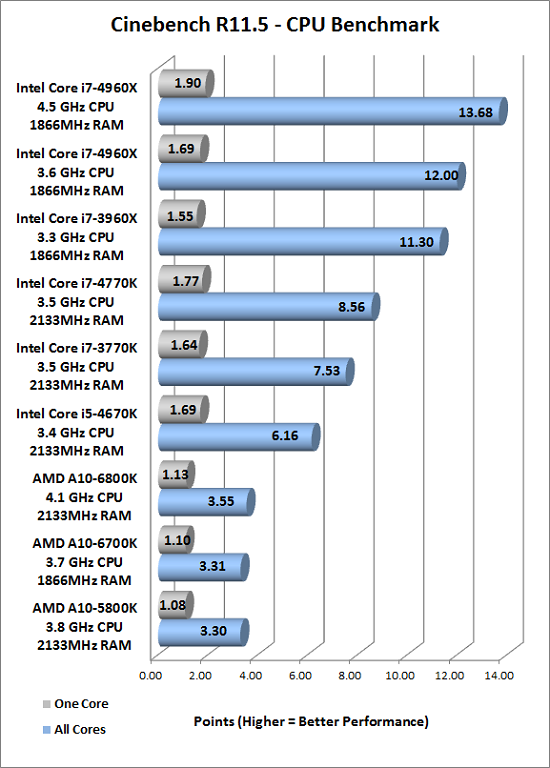 We backed it back down and ran some benchmarks at 4.5GHz and were happy with the results.